Estate planning should accomplish several inter-related goals. Along with ensuring your estate is distributed according to your wishes after you are gone, your estate plan should protect your assets while you are alive and minimize or eliminate estate taxes at your death. Your retirement plan should also work in harmony with your estate plan. If you own an IRA, you need to understand that the IRA probably will be taxed as part of your estate when you die. 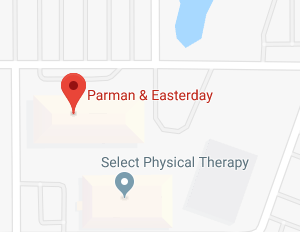 Our IRA estate planning attorneys at Parman & Easterday will explain what happens to your IRA after you are gone and whether it will be counted as part of your estate assets. When a participant in a retirement plan dies, the remaining benefits are usually paid to the participant’s designated beneficiary in accordance with the terms of the plan (lump-sum distribution or an annuity). Many retirement plans require you to name your spouse as the beneficiary unless he/she signs a form allowing you to name someone else. The Employee Retirement Income Security Act (ERISA) protects surviving spouses of deceased participants who had earned a vested pension benefit before their death. The nature of the protection depends on the type of plan and whether the participant dies before or after payment of the pension benefit has begun, otherwise known as the annuity starting date. Every U. S. taxpayer’s gross estate is potentially subject to federal gift and estate taxes at the time of death. The gift and estate tax is a tax on the transfer of wealth. Your gross estate includes anything of value you own at your death, including retirement accounts such as IRAs. For estate tax purposes, whether your IRA is a traditional or Roth IRA is irrelevant. 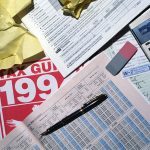 Fortunately, each taxpayer is entitled to make use of his or her lifetime exemption to reduce the amount of gift and estate taxes owed. ATRA set the lifetime exemption amount at $5 million, to be adjusted for inflation each year. For 2018, the lifetime exemption amount would have been $5.49 million for an individual and $10,980,000 for a married couple; however, President Trump signed tax legislation into law that increased the lifetime exemption amount for 2018 and several years to come to $11,200,000 for individuals and $22,400,000 for married couples. These exemption amounts are scheduled to increase with inflation each year until January 1, 2026, when the exemption amounts will revert to the 2017 levels, adjusted for inflation. This is all dependent on Congress leaving the current tax structure in place until then, which isn’t very likely. 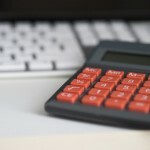 For now, the lifetime exemption may reduce your taxable estate enough that your estate will not owe taxes; however, you need to include the value of your IRA in the total value of your gross estate in case your estate does end up owing estate taxes. If you inherit an IRA from someone other than your spouse, you cannot treat it as your own. This means you cannot make any contributions to the IRA or roll over any amounts into or out of the inherited IRA. 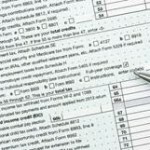 A beneficiary of a traditional IRA will generally not owe tax on the assets in the IRA until the beneficiary begins receiving distributions from it. For additional information, please join us for an upcoming FREE seminar. 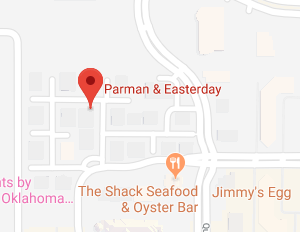 If you have questions or concerns regarding how an IRA is handled during probate or the tax ramifications of inheriting an IRA, contact the experienced IRA estate planning attorneys at Parman & Easterday by calling 405-843-6100 or 913-385-9400 to schedule your appointment today.